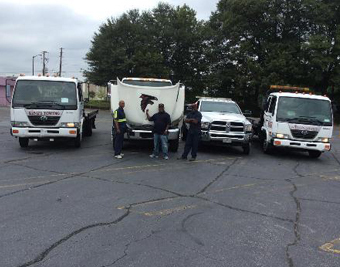 King's Towing Atlanta GA is a locally insured and bonded towing and roadside assistance company in New York City. We offer affordable auto winch out services for out of commission automobiles such as cars and vans stuck in the snow, flooded, or mud that need to be pulled out water. If you have to take out your vehicle because the wheels fell in a man hole we can help you drag it out with a tow truck as well.